We have a 48-hour cancellation policy for all of our excursions. Up until 48 hours before check-in time, you may change your reservation or cancel it for a full refund. Cancellations made in less than 48 hours before departure time, late arrivals, and “no-shows” will maintain a full charge. All cancellations must be made directly with Kayaking Puerto Rico (or Surfing Puerto Rico in the case of surf lessons), by telephone or email. This policy also applies to cruise ship passengers. Groups of 10 or more guests must cancel at least 2 weeks prior to the date of the excursion in order to receive a full refund. Cancellations of groups made in less than 2 weeks prior to the excursion date will maintain a full charge on any spaces we are unable to resell. Guests that are no-shows or late arrivals will receive the full charge. If we are forced to cancel a tour due to weather conditions, we will offer you the solution that better fits your needs, including rescheduling to another date, booking another tour, or full refund. However, be aware that we are the ones that determine the cancellations due to weather conditions. Please, do not make the mistake of deciding not to attend because you think the weather might not be acceptable, as you will still be charged if the trip goes out. If you ever have a question about the weather conditions, please call us to confirm. Due to the unique nature and small size of our groups, we are forced to remain firm about our cancellation policy. Consider that on the day of your excursion we will be there, on site, waiting, and ready to serve you. Regardless of the cancellation reason, our time and fixed costs are already invested; we may even have turned down other customers by holding your space. Thank you for understanding! We recommend making reservations at least 2 or 3 days in advance. We accept all major credit cards for reservations online or by phone. We are unable to hold or reserve spaces for any tour or activity without due payment. Tips (optional) must be paid in cash directly to the tour guides or staff members. Yes! We offer private tours and charters. For more information about activities for private groups and special events, please visit our Group Tours section in this site. Can we tip the guides? If you wish to show your gratitude for a job well done, our guides would certainly appreciate it! The most common way to tip workers in Puerto Rico is to give them 10% to 20% of your total fee. Kayaking Puerto Rico has teamed up with Island Journeys to provide you round trip transportation at a great rate. When you reserve your transportation via Kayaking Puerto Rico, Island Journeys will coordinate and provide the service for you with their team and other local transportation operators. The transportation service rate varies depending on the tour and requires a minimum of passengers. See minimum requirements. Round Trip Transportation is available from majority of hotels in the San Juan and East Coast area, or a nearby pick up location. At check out, choose your lodging location from the list and you will be provided the nearest pick up location and pick up time. If your lodging is not listed, please select the hotel nearest to you. For Transportation outside of our pick up locations (Dorado and Humacao for example), or any special transportation requests, please contact Island Journeys for assistance (7874151560). Why book round trip transportation? How long does it take to drive from San Juan? The driving distance from San Juan to Fajardo is approximately 45 minutes to 1 hour, depending on traffic conditions. Do you sell ferry tickets to Culebra? Kayaking Puerto Rico does not sell individual ferry tickets to Culebra. The $79 Aquafari Culebra Day Trip (only) includes public ferry tickets to Culebra. We are not able to secure ferry tickets for persons not participating in this tour. Kayaking Puerto Rico does not provide private maritime transportation to Culebra. The tickets included in the $79 Aquafari Culebra Day Trip are for the public ferry from Fajardo to Culebra. The Puerto Rico Maritime Transportation Authority operates the ferry to Culebra. Kayaking Puerto Rico is not affiliated to the Puerto Rico Marine Transportation Authority. We are not responsible nor can control in any way changes or delays in the ferry schedule. Our hostess will meet the Aquafari guests at the Fajardo Ferry Terminal at the assigned check-in time, and at the Culebra Ferry Terminal upon arrival to that island. Why is swimming not allowed in the Bioluminescent Bay? To keep the waters clear and free of sedimentation. The organism that produces the bioluminescence — Pyrodinium bahamense— needs clear waters to complete the process of photosynthesis during daylight hours. If groups of people jump into the water, they will stir up the sediments from the bottom of the lagoon, making the water murky, which hinders photosynthesis and threatens the life of these glowing organisms. To keep the lagoon free of pollutants. Deodorants, hair gels, skin lotions, perfumes, insect repellents containing DEET, and other personal care products contain chemicals that directly affect the bioluminescent organisms of the bay. I don’t know how to swim. Can I still go? Of course! First, we will not be swimming on this tour. All our guests will be provided with USCG approved life vest, and it is mandatory for you to wear it while kayaking. We will be paddling through calm, protected waters, and all of our kayaks are very stable. Even if, for any reason, you do fall in, the water depth throughout the mangrove channel (where you will be kayaking most of the way) is 3-4 feet deep. Is it easy to get in and out of the kayaks? You will board your kayak on easily accessible, shallow waters. If you need help getting on and off the kayak, our staff will gladly assist you. Your guide will begin the tour with a short orientation on the basics of kayaking, from getting in the kayak to rowing properly. Our Bio Bay excursion includes a selection of pre-packaged snacks, energy bars, and refreshments. However, these are not intended as dinner. We recommend you have dinner before or after the trip. There are plenty of restaurants, food trucks, and kiosks in Las Croabas area, some of them at walking distance from Kayaking Puerto Rico’s tent and tour departure site. Do I need boating experience or a boat captain’s license? No experience, specific skills, or licenses are required to pilot your Mini Boat. This excursion is suitable for everybody, from the age of 6 to… no limit on the other side! However, the person you choose from your party to drive the Mini Boat must be 18 years or older. Our tour route is located within the Fajardo Roadstead, where the waters are sheltered and usually calm. At times we may ride in open water where, although usually calm, the sea can get choppy. Therefore, we strongly recommend guests with neck or back problems to not participate in this excursion and consider other tours we offer. Pregnant women cannot participate in this excursion. How safe are these boats? Our Mini Boats cannot sink or capsize, and they meet stringent safety regulations. Both the Mini Boats and their safety equipment are approved by the U.S. Coast Guard Auxiliary and the Puerto Rico Department of Natural Resources. It is very unlikely that you fall off our Mini Boats. Nevertheless, all boat drivers wear a “kill cord” bracelet that shuts off the engine instantly should they fall in the water. An experienced, professionally-trained guide leads the tour and ensures that you have a safe and comfortable ride. Each tour guide is a licensed boat captain, thoroughly trained in safety procedures including CPR, first aid, and marine rescue. Is it difficult to get in and out the Mini Boat for snorkeling? When we say that we’ve got you covered, we mean it! Each Mini Boat is equipped with an easily manageable step ladder. Just find it in the storage compartment, attach it to the side of the boat, and voilá! You are all set to get in and out of your Mini Boat at will. Our guides will show you everything you need to know about your Mini Boat during the pre-ride instruction, and will be always available to assist you with everything you need in the water. For a preview of all the specific parts and equipment on your Mini Boat, please take a look the “Included in your Tour” section above. What about valuables, do you provide storage? Absolutely! We can provide secure inland storage for any valuables you may want to leave behind while Mini Boating. Is parking available at the Fajardo Ferry Terminal? Yes, there is a secure private parking lot located at the ferry terminal. The cost per vehicle is about $5.50 for the day, and $11.00 overnight. Please, make sure to confirm the prices at the facility since they may have changed without our knowledge. What is the ferry schedule and how long is the ride? The ferry ride is about 1 hour and 30 minutes, depending on weather conditions.The Culebra Ferry is operated by The Puerto Rico Marine Transport Authority. Kayaking Puerto Rico is not responsible for any delays/changes to the ferry schedule. At what time should I get to the ferry port to get my tickets? 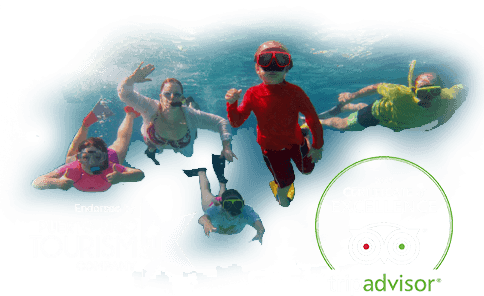 If you are coming from mainland Puerto Rico for the all-inclusive Aquafari adventure, your excursion includes the ferry tickets and you need to be at the ferry terminal at 8:00 AM for check-in with the KPR staff. Your ferry is scheduled to depart at 10:30 AM. If the ferry gets delayed and we are not able to take the trip, are we going to be charged? ABSOLUTELY NOT! In the event of weather-related cancellations made by the ferry port or our staff, or if for any reason the ferry arrives too late to take the trip, Kayaking Puerto Rico will not charge your card for the trip. However, in the event that you arrive late to the ferry port and you miss the ferry, then you will be responsible for the full payment of the trip. Is there an alternative way to get to Culebra apart from the ferry? Keep in mind that the price of your excursion DOES NOT include the airplane ticket, and there will be no KPR staff available at the airport. We constantly monitor weather and swell forecasts to ensure all our guests safety. In the event that weather conditions are not optimal for going out, you will be notified by phone. In case we cannot reach you quickly by phone, text message and email will be our next options. If we are forced to cancel a tour due to weather conditions, we will offer you the solution that better fits your needs, including rescheduling to another date, booking another tour, or full refund. However, please be aware that we are the ones that determine the cancellations due to weather conditions. Please, do not make the mistake of deciding not to attend because you think the weather might not be acceptable, as you will still be charged if the trip goes out. If you ever have a question about the weather conditions, please call us to confirm. Does the vessel has shaded areas? Yes! ‘Innovation’ has both shaded and sun bathing areas. However, we do recommend that you bring personal sun protection, like sunblock, hat, or a long sleeve shirt in case you want some extra protection. Pregnant guests are welcome to join this tour. However, we DO NOT recommend women in their late second and third trimesters of pregnancy to select this tour, because in case of emergency we cannot guarantee fast return to mainland or the necessary medical assistance. Since this tour includes snorkeling, we do recommend that you know at least the basics of swimming. However, you will be provided a US Coast Guard approved life jacket and flotation device, so no expert knowledge of swimming is required. Our tour guides are also trained lifeguards. If you choose not to join the snorkeling sessions and only enjoy the sailing trip and beach explorations, that is fine too but bear in mind that the price of the excursion will remain the same and no discount will be granted. Can we bring our own ice cooler? Except for the case of private charters (for which special arrangements can be made), we cannot allow all our passenger to bring their personal ice coolers. There is limited cargo space on the catamaran and this kind of items may obstruct the way and hinder the comfort of all our guests. On the other hand, the tour includes an all you can eat and drink buffet, with both soft drinks and alcoholic beverages, so it’s better that you just come ready to enjoy and take advantage of all the perks already included in your trip. Of course! First, we will not be swimming on this lesson. Our beach has a shore break and we will be surfing in shallow waters. The water will never get above the height of your chest. We will also be surfing on a sandbar, away from rip currents. Finally, you will be accompanied by at least two lifeguards at all times. Not at all! We will have a surfboard available for you to take the lesson. We have from the smallest to the largest size of surfboards available, and our instructor will assign you the one that better fits your body type and weight. If you are not satisfied or comfortable with the surfboard we assign you, you are welcome to switch boards as long as the one you choose is adequate for your body type and can support your weight without getting damaged. Our instructor is a Pro Surf champion with 25+ years of experience in the sport, so we recommend you to trust him at all times. I already took a beginner lesson elsewhere. Can I just rent a surfboard and skip the lesson? In order to rent a surfboard you will need to prove that you have intermediate to expert surfing experience. Our surf spot is located at a quite dynamic beach, with constantly changing rip currents and conditions. Having taken a similar surf lesson in another country, or even at another beach in Puerto Rico is not enough training for us to confidently let you go out by yourself on one of our surfboards. Therefore, if you still have beginner level experience, we strongly recommend you to take one of our lessons, so you get a better knowledge of the beach you will be surfing on. In fact, our instructor will tailor your lesson to your experience level and needs, so don’t feel that you are just going to hear what you already know. At Surfing Puerto Rico we are addicted to having fun, but safety always comes first! I’m already an experienced surfer. Can I rent a surfboard and take it to another beach? Regardless of your experience level, we are committed to guarantee your safety while you are using any of our surfboards. Therefore, our rentals are only for use at La Pared Beach, where our instructors and lifeguards can assist you in case of need. Do you rent fiberglass surfboards? Professional fiberglass surfboards are normally custom made to fit the surfer, very expensive, and delicate to handle. For that reason, we don’t have fiberglass surfboards available for rent. All rentals are foam surfboards and we have sizes available for every body type and weight, from fish to the classic longboard. Plus, they are super fun for all levels of experience! Absolutely! We can provide secure storage for your belongings at our surf truck. However, we recommend you to keep it simple and travel light, because we have limited space available. The Bio Bay & Rainforest Tour is includes a hiking adventure in El Yunque National Park provided by Fine Line Excursions, and a Bio Bay Kayak Tour provided by Kayaking Puerto Rico. For common questions regarding the bio bay part of the excursion, please check out the Bio Bay Kayak Tour section above. For questions regarding the hiking tour, please call us at 1-787-245-4545 or visit our CONTACT US section for more options. For all questions regarding private Group Tours, please contact our Customer Service Team at 787-245-4545 or info@kayakingpuertorico.com. Great, let’s hear it! Please call us at 1-787-245-4545 or visit our CONTACT US section.